After roughly 3 weeks of testing, AutoArduino is now out of beta. 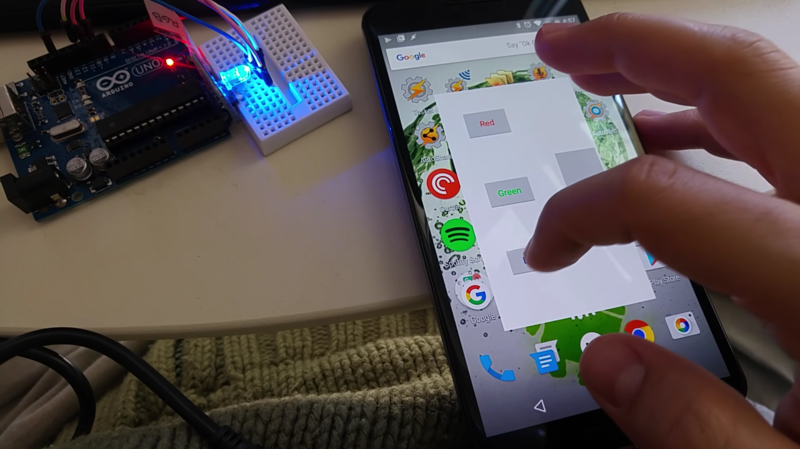 João Dias — better known to the world as joaomgcd — has just announced the beta version of a new Tasker plugin called the AutoArduino. The AutoArduino is just the latest in a series of over a dozen apps from the developer, and it lets owners of the programmable circuit board use Tasker to control any one of its countless digital and analog pins with nothing more than an Android phone or tablet. The video published by joaomgcd shows a fairly basic demo of the plugin being used to light up an LED in various colors, but in principle there's no reason an Arduino-savvy user couldn't use the AutoArduino to carry out more complex tasks like pouring an espresso or controlling the window blinds in their house. To get the plugin up and running, you'll need to download the AutoArduino sketch onto your Arduino (a sketch is just a fancy name for the code that runs on the Arduino) and then join the beta to install the AutoArduino app on your Android device. For now, it's only possible to connect to an Arduino board through USB via an OTG cable, but joaomcgd says he plans on adding support for Bluetooth or Wi-Fi receivers in the future. You can check out the source link below for more information or join the Google+ community to stay up to date with this and other plugins from the developer.